Hey there! My name is Michael Pinner, and I am one of the 15 early-stage researchers (ESRs) participating in the DNA-robotics research network. Born and raised in Vienna (Austria), I am now based in Munich (Germany) where I am working in the laboratory of Hendrik Dietz at TU Munich. Interdisciplinary research fields like ours naturally bring together researchers from a vast range of backgrounds, and in the following I would like to tell you my own story. Science fascinated me from early on, and while I was in secondary school it soon became clear to me that I would like to pursue undergraduate studies in a natural science. However, choosing a specific field was extremely difficult for me. I felt pressured to find the perfect degree programme for me as this choice was one that will affect me throughout my whole career. After months of gathering information, I have finally chosen to pursue a degree in biotechnology at BOKU Vienna. Biotechnology is an interdisciplinary research field that combines biology, chemistry, physics and engineering, thus a degree in it seemed like a good start for my scientific career. During my studies I have tried out many different things. I have completed an internship in a plant biotechnology lab, moved on to a bachelor’s thesis in nanobiotechnology and finally went for a research stay in cancer biology. The more practical experience I’ve had, the more I began to understand what kind of research I would like to do in the future. For my bachelor’s thesis, I created and studied protein-repellent surface coatings based on non-toxic polymers with potential uses in medicine. I enjoyed the idea of manipulating materials on the nanoscale to give them new properties, so I decided to dive deeper into nanobioscience and biophysics during my master’s. While doing so, I have also followed my second area of interest, which is biomedicine. The structure of my degree programme allowed me to complete courses at the Medical University of Vienna, where I was taught by experts in their field. Close to the end of my master’s, I had to find a laboratory to do my master’s thesis research at. Although I knew I wanted to work in a biomedical laboratory, I was still very unsure about where to apply. While there are many excellent groups in Vienna, I felt like I needed to leave the comfort zone that was my home in order to grow both as a researcher and as a person. Initially the idea of going somewhere alone where I will not know anybody terrified me, but I did it nevertheless and never regretted it. I joined a cancer research laboratory at Oxford University for 7 months, where I was studying the interaction of viral proteins with human tumour suppressors. Not only have I learned a lot in the lab, but I have also greatly enjoyed the experience of living abroad. Little things like grocery shopping or a walk around the town become exciting when they’re done in a new environment. There is always something new to explore and discover! 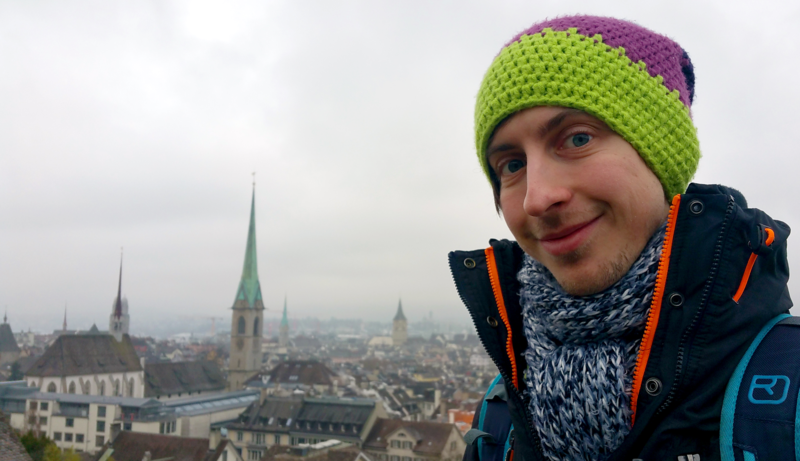 I did not want to go abroad for my PhD initially, but when I came back to Austria I wasn’t so sure anymore. My experiences in Oxford convinced me that I would gain more from going abroad than I would lose. Being in the DNA-robotics network is a great opportunity for me. I am getting more international experience while doing cutting-edge research in a very young field. The DNA-origami technique is a simple method to generate nanostructures with high-precision using established molecular biology techniques. It is an art using which we are hoping design simple molecular machines from scratch, and I am working hard to contribute my share to the programme. I’ll tell you more about my research projects soon in this blog, so stay tuned!